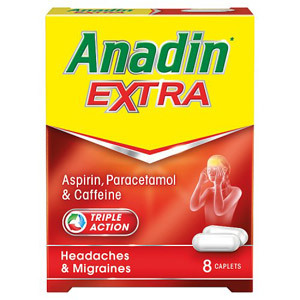 Thankfully, in this day and age we don't need to suffer through minor aches and pains, as there are a huge variety of pain relief tablets on offer that can be purchased right here at the British Corner Shop - we have everything from Anadin to Panadol. In addition to these well-known pain killers - as well as others such as Hedex and Nurofen - we also stock pain relief cures that can be applied externally, such as Deep Heat and Deep Relief Ibuprofen Gel. It is always good to have some pain relief products on standby, as you never quite know when you're going to need them. There's nothing worse than having to take a trip to the pharmacy when you have a splitting headache. Make sure you check through all the options, as there are many to choose from. Also please ensure you take the time to read the instructions and advice that comes in the packet before you take anything.